Save more and spend less is more than just a motto for money expert Clark Howard; it’s a way of life. Clark and his crew — Team Clark — are on a mission to empower people to take control of their personal finances by providing money-saving tips, consumer advice, hot deals and economic news to help everyone achieve financial freedom. Clark is a nationally syndicated radio talk show host and a consumer reporter for television stations around the country. 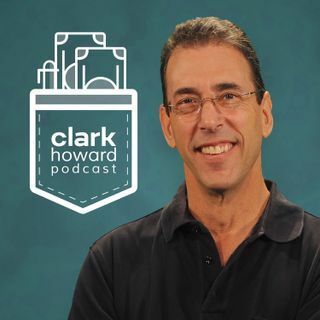 His podcast, The Clark Howard Show, ... Más informaciones receives more than one million downloads each month and is a hub for listeners to get valuable advice on-demand any time. Clark answers questions on the most popular business and consumer topics including; how to buy a cars, financing a home, retirement planning, shopping for insurance and getting the most out of your savings. Join the conversation and submit your question to www.clark.com/askclark .